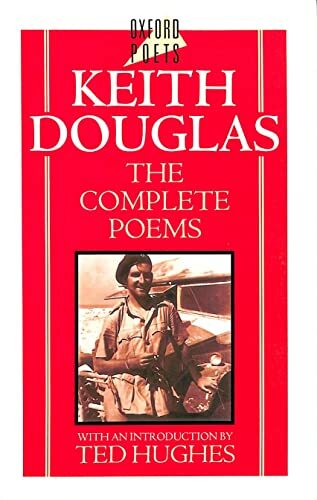 Mainly remembered as a World War II poet who died in Normandy three days after D-day, Keith Douglas demonstrated a rapidly maturing energy and simplicity of diction through his descriptions of war-time Cairo and contemplations of death. The only complete collection of his poetry available, this volume contains 105 poems with a section of notes that provides the source, place of first publication, and a record of substantial variations from other versions for each poem. Keith Douglas, a poet who died during World War II at the age of 24, published only one volume of poetry in his lifetime, Selected Poems (1943). Several other volumes of his poetry have been published posthumously, including Alamein to Zem Zem (1946) and Collected Poems (1951). Desmond Graham is a well-known critic. Ted Hughes is Poet Laureate of Britain.